UK broadcaster ITV is due to replace its ITV Player catch-up service and ITV.com website with a new digital destination for all its TV channels and online services. This comes rival UK commercial broadcaster Channel 4 also rebranding its on-demand offers from 4oD to All 4. The service will launch across mobiles, PCs and connected TVs, and, for the first time, will also be available on Amazon’s Fire TV and Fire TV Stick devices, and the new connected Freeview Play service. ITV’s director of online, Paul Kanareck, said that ITV’s product and content offering had “improved dramatically” and that further details of the new ITV Hub will be revealed at The ITV Gala in November. “With over eleven million registered users and 726 million long form requests last year alone, our VOD service has come of age, with live TV right at the core of our proposition,” said Kanareck. 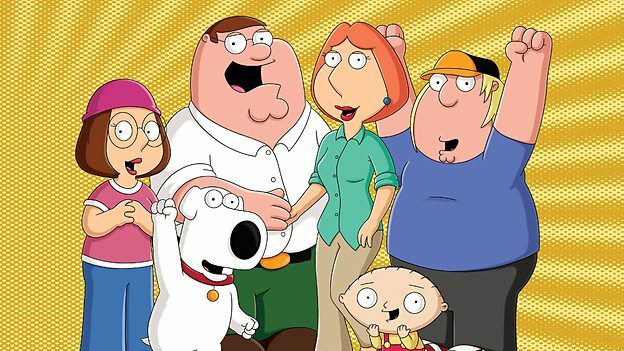 ITV said that new episodes of hit animated comedy series Family Guy (pictured) and American Dad will be available on The ITV Hub, marking the first time a UK public service broadcast channel has offered the shows in its VoDservice. ITV took the rights to the Seth MacFarlane series earlier this year for its ITV2 digital channel. Previously, the BBC’s youth skewing BBC Three network, which is due to go online-only next year, had rights to both shows. The ITV Hub will also feature new branding that was created by ITV’s in-house agency, ITV Creative. “We have created an exciting new brand identity for The ITV Hub which will present all of ITV’s family of channels and services front and centre with a distinct, digital look and feel building off the success of ITV’s rebrand. We are looking forward to fully unveiling it later this autumn,” said Rufus Radcliffe, ITV’s group marketing director.